One of Hollywood's most enigmatic stars, Greta Garbo was a Swedish actress best known for her roles in both silent and talking films before World War II. Her mysterious and striking beauty inspired Ottiu to create the Greta Armchair. Part of the Century Collection, this stylish armchair embodies the cinematic glamour of the 1930s. 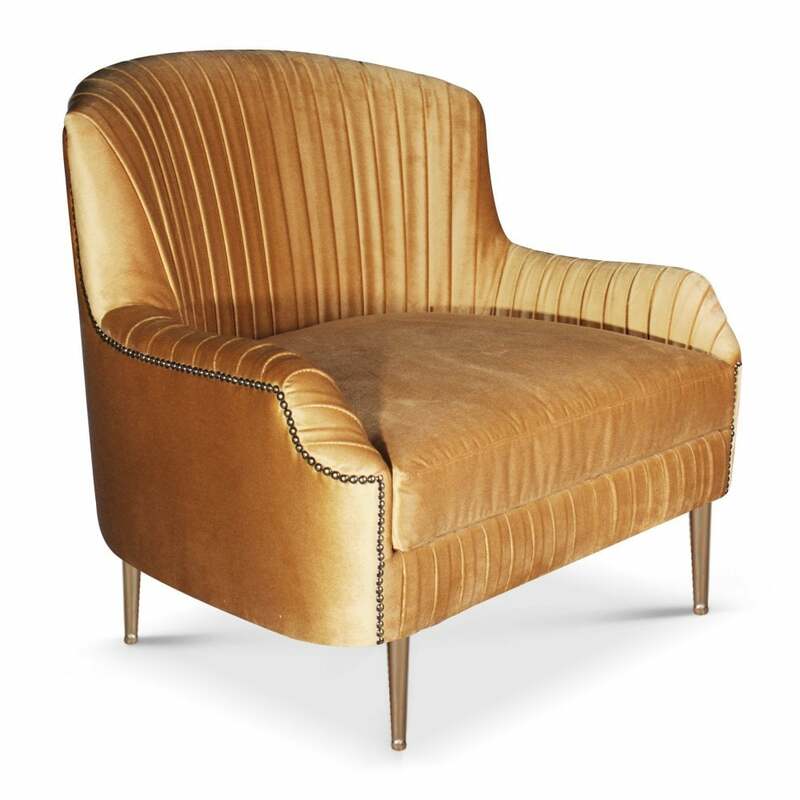 Upholstered in draped velvet, the back is pleated to create an elegant appearance and texture. The curved frame and deep seat is supported with long polished brass legs and finished with brass studding, The Art Deco shaping, and stature would suit a bright and light Parisian style apartment. Choose from a range of fabrics and colours to create a bespoke armchair for your home. We love the duck egg blue and aged brass colourway. Get in touch with our team to discuss options.